%VIRTUAL-SkimlinksPromo%Have you been left out of pocket due to poor service or sharp practice? Do you have a money problem that won't go away? It can seem impossible to get a fair result when you are battling a financial issue alone. But never fear! The AOL Money Fixer is here to help. I had my iPhone stolen while I was out shopping recently, which is bad enough - especially as I am having to ask all my friends and colleagues to resend me their numbers. The phone was not insured, so I have had to pay for a new handset myself. However, the worst thing about having my phone stolen is that I have lost all the music I have bought through iTunes over the last couple of years because it was all stored on my phone rather than a computer. Is there any way I can get my music collection, which must have cost me a good few hundred pounds, back? And how can I protect myself against the same thing happening if my new phone is stolen? I am sorry to hear that you have had your phone stolen, especially as this means you have lost access to the music you had downloaded on to it from iTunes. You should not feel bad about not having a mobile phone insurance policy for this reason, though, as the companies offering this cover will not generally cover downloads. There is also a sliver of hope that you will be able to get your music collection back thanks to the remote digital storage facility - the iCloud. Music and other downloads saved in the iCloud can be accessed from any device, meaning that you will be able to access your music from your new phone if you had the forethought to save it here - a service that iTunes regularly promotes. If that is not the case, however, you should always do this in the future. For extra peace of mind, you can also copy any future downloads to another device such as a laptop for safekeeping, and even add digital downloads insurance to your home contents cover. AXA Insurance, for example, covers digital content worth up to £500, while LV= and Direct Line cover up to £1,000 - although it is worth checking whether downloads stored on phones are treated differently to those stored on home computers, for example. In the meantime, fingers crossed that you have been using the iCloud service and can get your music collection back. 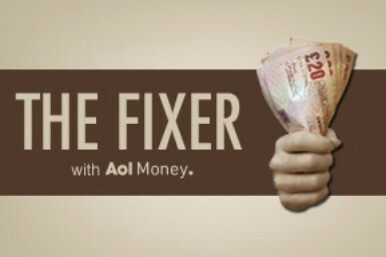 Whatever your financial problem, write to themoneyfixer@aim.com and The AOL Money Fixer will get on the case.